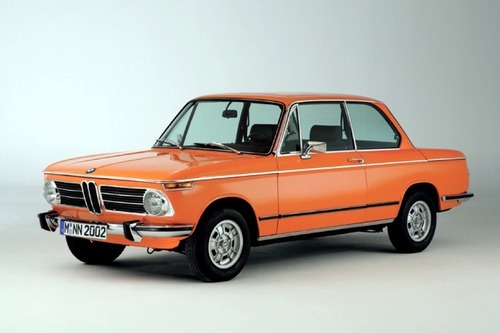 Complete digital workshop service and repair manual written for the BMW 2002; Production model years: 1967 1968 1969 1970 1971 1972 1973 1974 1975 1976 . All styles covered (all models, and engines). It is in the cross-platform PDF document format so that it works like a charm on all kinds of devices. This QUALITY manual is 100 COMPLETE and INTACT, no MISSING/CORRUPT pages/sections to freak you out! Buy from responsible seller and get INSTANT DOWNLOAD now without wasting your hard-owned money on uncertainty or surprise; this manual is exactly as described. This repair manual is intended to ensure that the maintenance and repair work required for BMW cars is done in the correct manner. Therefore this manual should be used by inspectors and fitters as it helps to supplement the practical and theoretical knowledge they have acquired at our service training school. The relevant specifications are always provided at the beginning of each main group. The specifications apply to standard cars that have not been involved in an accident and have not been modified after leaving the factory. Basically speaking, the Touring models are identical with the saloons so that in the specifications and values quoted reference is only made to points in which the Touring models differ from the other cars. The group system applied in this manual is taken from our flat rate catalogue. The special tools required for good repair work are listed in our special tool catalogue - order No. 01 99 9 099 420. Photographs have been provided to show how the special tools must be applied for the individual processes and operations. Remove gearbox 23 00 020. Remove the two existing support block s ( 1 and 2). Fix five-speed gearbox to engine. Fit rubber mounts and cross member. Bolt support blocks to cross member temporarily. Raise five-speed gearbox. Align support blocks in relation to gearbox tunnel and mark position. It is essential that the distance B (3 .149 "/80 mm) be maintained between engine mounting and support blocks . Mark support blocks on gearbox tunnel and drill fixing holes. Bolt support blocks firmly to gearbox tunnel.